Blackjack Archangel mint with original black leather sheath. 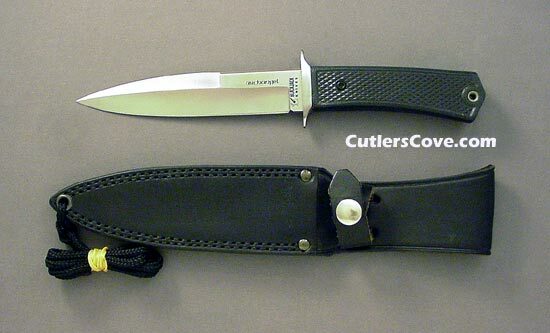 It is 10-1/16" overall with a 5-5/8 inch blade. It has a factory ground false edge and the handle is black Kraton. I think this is one of the first Archangel/Spector knives and only 300 were made in 1988. More information on the Spector Click here on the fine BlackJack Info Pages Project by Tom Carey.